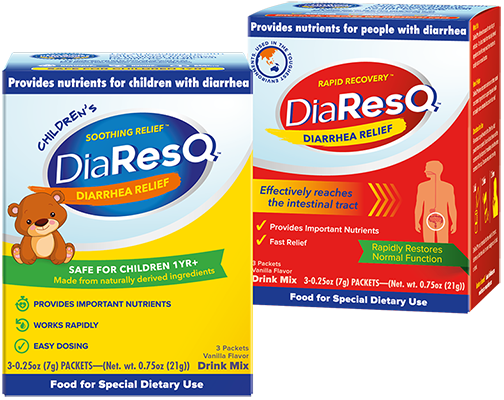 DiaResQ® is a must-have at home and for travel. 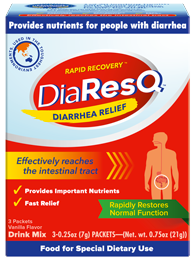 It provides nutrients and immune factors that help to rapidly restore normal intestinal function – so you’re back to normal in no time. Learn more about ingredients, allergies, nutritional information, directions, and serving size. 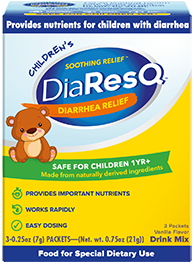 A NEW nutritional solution that provides fast, soothing relief for diarrhea, Children’s DiaResQ® is made from naturally derived ingredients and is safe for ages 1 and up.